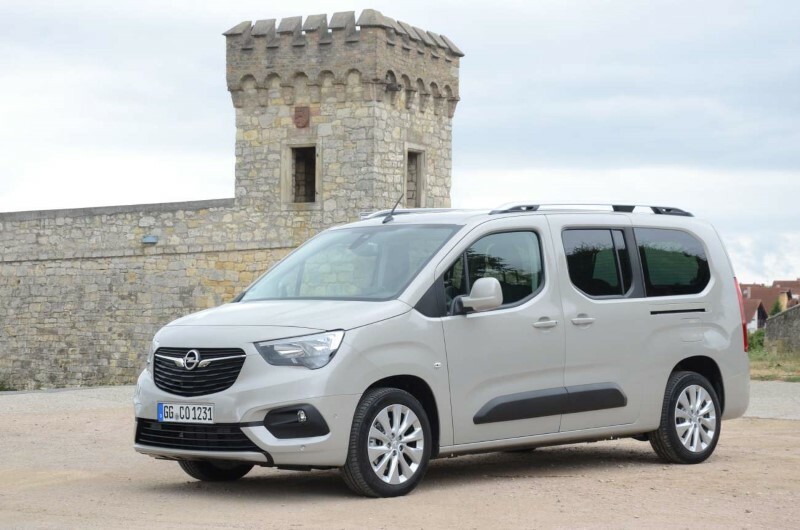 Test 2019 Opel Combo Life XL diesel 130 hp automatic transmission. 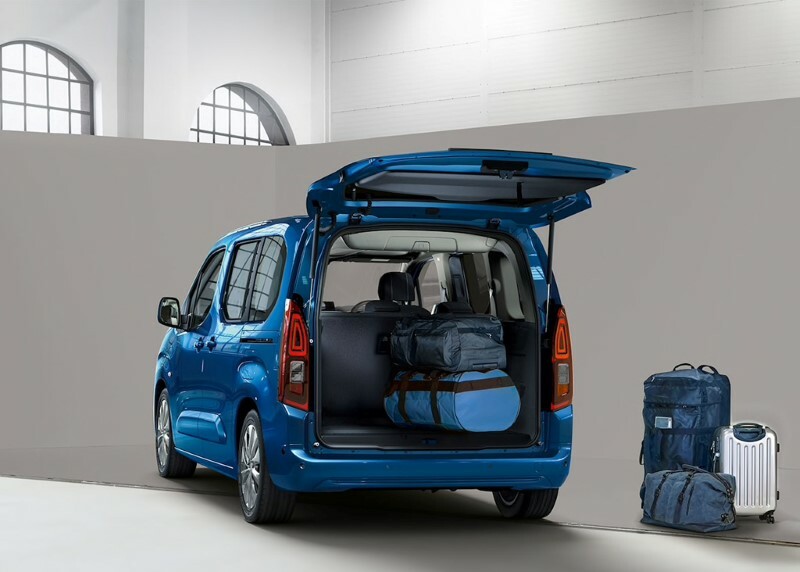 Cousin Citroën Berlingo and Peugeot Rifter, the new Opel Combo Life is the first to present its XL version. An ideal proposal for large families, as the declination to seven places, is livable at all ranks. The Opel Combo does not tell you anything? Logic, given the tortured career of the small utility Opel: born under the features of the Kadett in 1985 (! ), He took over those of the Corsa in 1993 before becoming a clone of Fiat Doblo until 2018. By borrowing the technical base of the latest Citroën Berlingo and Peugeot Rifter, this new generation of Opel Combo Life should know better destiny: 1.5 BlueHDi engines in diesel and 1.2 PureTech in gasoline, EAT8 automatic transmission available, a light EMP2 platform opening right technological equipment (adaptive cruise control, head-up display, induction charging). Not to mention the lengthened version Opel Combo Life XL, already ordered and available at the end of the year in the concessions. The classic Opel Combo Life is 4.40m long. The subject of our test, its XL long version points to 4.75 m, of which 19 cm were gleaned on the wheelbase and 16 cm on the rear overhang. The balance of the lines is not too impacted, unlike the carrying capacity, in net progress: when the Combo Life oscillates between 597 l and 2 126 l of the trunk (in VDA standard), the Combo Life XL evolves between 850 l and 2693 l! Note that the long version does not have the monopoly of the seven-seater option, but that the short has almost no trunk when the third-row seats are in place: only 65 l (in liters of water standard) , against 206 l to 322 l for the XL who knows how to slide his 6th and 7th places. What accommodates several suitcases or soft bags, as we will see on page 3. Therefore, if the XL version claims € 900 additional cost with the equivalent engine, it starts at € 24,350 minimum, against € 21,300 for the classic Combo Life. With its 130 hp diesel and eight-speed automatic transmission, our trial version peaked at € 27,950! 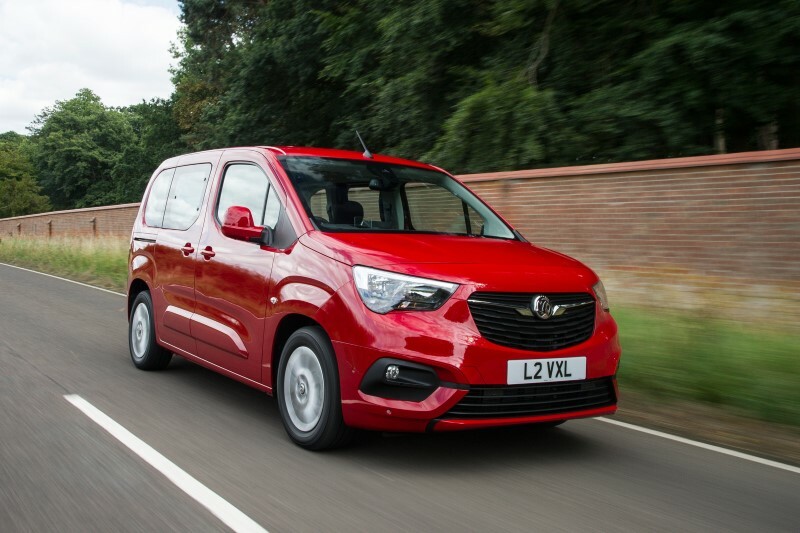 It remains to be seen if the 2019 Opel Combo Life XL can justify this price, On the road! 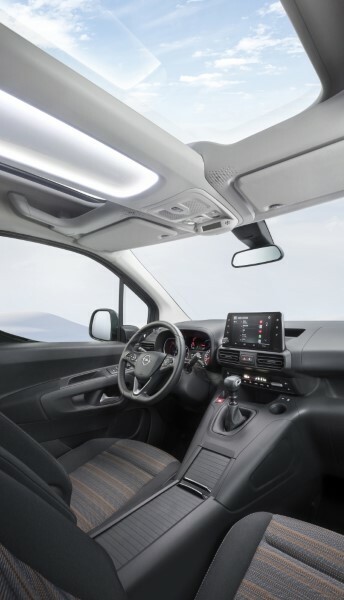 If the installation on board the Combo Life is not reminiscent of that of a utility (small steering wheel adjustable in height and depth, possibly low seat), it does not imagine either the controls of a compact sedan: impressive dashboard evokes a standing menhir on the knees, the rear window seems far away in the central rearview mirror, while the respective width of the machine (1.92 m without retros!) generates some hesitation when entering the alleyways or underground parking. On the road again, the 2019 Opel Combo Life XL emerges from the realm of utilities: direct steering, biting braking, a touch of agility in turns. His real strength? A very neat comfort, thanks to a suspension at the same time soft on the plates of sewer in town and well held on the ripples with high speed (it is rare!). The softness of the BVA8 is perfect for walking comfort, even though, like PSA cousins, it retains its curious tendency to downshift for no reason in the stabilized speed ramps. At 130 km / h, the Combo Life XL naturally emits air noises higher than that of a sedan, but the soundproofing benefits from a well-caulked diesel engine, welcome in a huge cockpit and quickly transformed into a “cash box”. resonance “. In empty, the diesel 130 hp moves without difficulty the 1500 kg Combo Life XL (accelerations and effective raises), but will not be too much to animate once filled with passengers. Because this living room loop space is perfectly able to accommodate seven, and not only small templates! You do not know where your keys are stored? Good luck: doors, center console, and glove box are here complemented by many pockets like the second upper glove box, the spaces behind the central screen or in front of the box control, or the nasturtium styling front passengers. The Functional Pack adds hatches under the floor and a drawer under the driver’s seat (350 € with folding passenger seat, trunk net, rear sunshade and mirror for children) but unfortunately, the long version is not compatible with the panoramic roof and its translucent storage running along the pavilion (series on Innovation). Present on our test model, the second-row seats become individual options (they replace the classic 2 / 3-1 / 3 bench seat for 240 €) and know how to accommodate three front car seats, which is not so frequent, even in compact minivans. If space is generous, it is not more than in “short” version, while the comfort would have gained to enjoy sitting a little longer and reclining backs. Therefore, the real difference between the normal version and this long version is in third place, charged 720 €: the seats, identical, reserve the same home (no folding seats like compact minivan) and even more space on the legs thanks to their sliding function (the third row of the Combo Life non XL remains fixed). These features logically prevent the seats from disappearing under the floor: to enjoy the maximum volume, they must be deposited, but their easy handling and their weight do not complicate the maneuver too. The trunk volume then goes to 850l and peaks at 2,693 l even before having folded the right front seat ( the loading length then exceeds 3 meters ). For 150 € finally, the long tailgate can be replaced by swing doors, more “utilitarian” but also more practical in town. 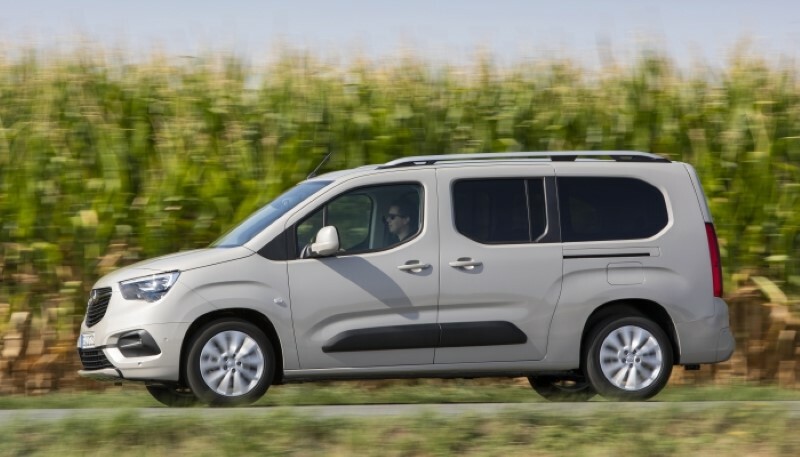 To exist in the eyes of the public, the 2019 Opel Combo Life XL must present a better price/equipment positioning than its first cousins, Citroën Berlingo XL, and Peugeot Rifter Long. Facing Peugeot, Opel is indeed much cheaper: 27 950 € for this trial version 1.5 Diesel 130 hp BVA8 Enjoy, against € 30,250 for Rifter BlueHDi 130 Allure series that embeds the touch screen 8 ” with Mirror Screen and Folding Passenger Seat, but optionally calls for the hands-free key. 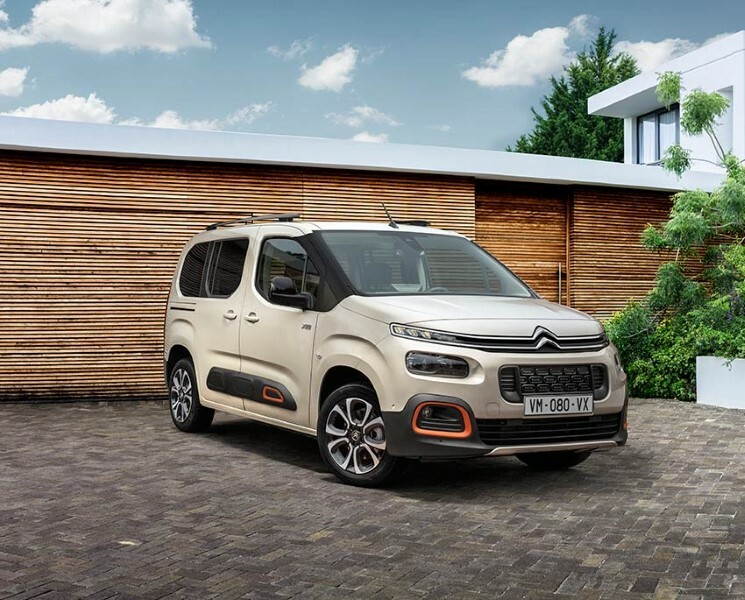 In front of the Citroën, the advantage is less obvious: a Berlingo XL BlueHDi 130 Shine points to € 29 150 (or € 1200 more than the Opel), but comes standard with the touch screen 8 ”, the Mirror Screen and folding right front seat, and also includes individual rear seats and storage pack. Another advantage: a range more provided in the long version, associated with the gasoline engine (PureTech 110) and/or the high finish (Shine at Citroën, GT Line at Peugeot). As Euro6.c approaches, the Renault Grand Kangoo has disappeared from the catalog (the next generation will come in the second half of 2019). As for the Fiat Doblo Maxi, it is now outdated and only offers a single diesel version: 120 hp, mechanical gearbox, € 2,453 in a penalty, and € 23,390 in Lounge level. but no seven-seat configuration yet available as an option on the classic Double! 2018 Opel Insignia Review; Whats New?